Whilst technology is impacting how we work on many levels, it is also opening up many new possibilities. So what does the future of work hold for us as individuals, for the environments in which we operate and work within and for how we make decisions? This Conference and associated workshop will not only expand this conversation it will challenge your thinking and that of your business also. Shannon Chamber is delighted to have secured the amazing ‘Sophie Hackford’ as our keynote speaker. Sophie is a futurist and technologist and her work is incredibly captivating and mind blowing. Sophie travels the world visiting inventors, makers, hackers and science and space communities. 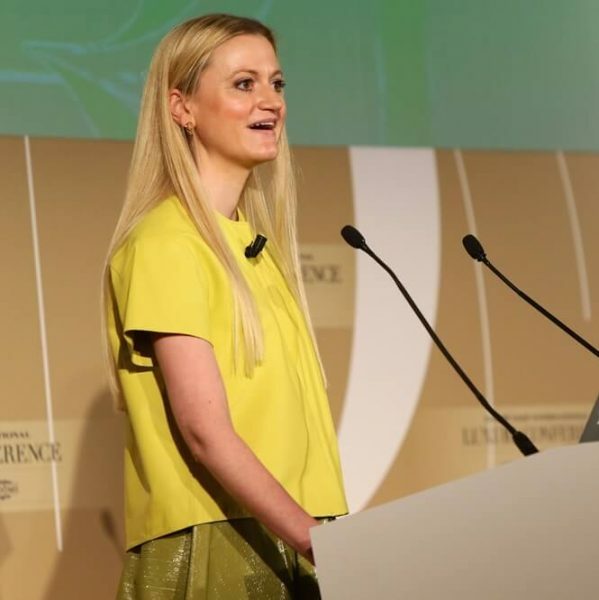 Futurist Sophie Hackford will take us on an incredible whistle-stop tour of science and technology breakthroughs from around the world and give us an insight into the technologies that are shaping the future of our organisations and our people. She will be joined by a panel of guest speakers from a range of business sectors who will share their views on planning for a new, and in many ways, an unforeseen technologically-impacted future…in other words…this is a must-attend event for everyone in business, particularly for managers of people. For ‘Early Bird’ pricing register before the 10th April. Corporate tables of 6, 8 or 10 also available. For more information or to book a corporate table email lkizaite@shannonchamber.ie or call 061 360 611.